March Madness is in full effect and Dwayne Wade’s former college, Marquette has made it out of a tough first round. Converse will be releasing the WADE Team Signature, which has been a simplified version of the Wade 3. 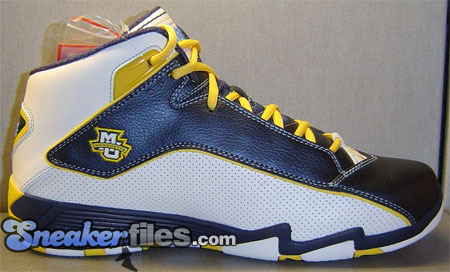 Converse has also turned Marquette for the inspiration of the look of shoe including the use of team’s logo and colors. Although the WADE Team Signature won’t be released until Summer, you may have spotted the Golden Eagle’s wearing them during their win over Kentucky. The WADE Team Signature will be releasing on August 15th and will be available in eight team color-ways. 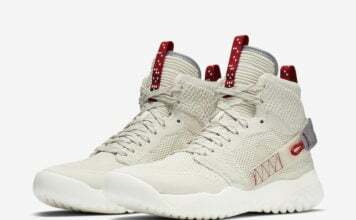 Retail price will be $90 for adults and $60 for kids. 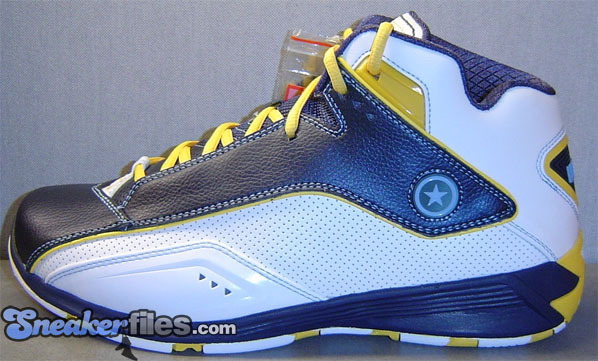 these are only for basketball, they are not that bad….i would like to see more colorways! best lookin dwades so far. how did such a great player fall so low? these way better than the wade 3's. These are cool, but the wade 4's are ugly, and the best wades were the 1.3 mids. And they have to be marqutte colors.